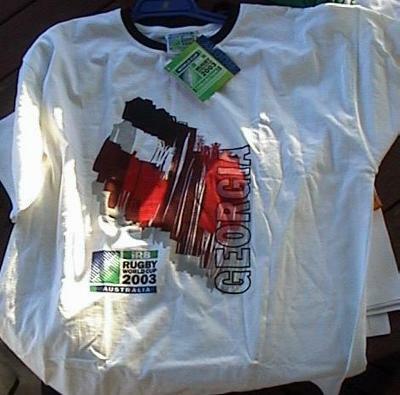 All items shown on this page are residual items from the Rugby World Cup event that was held in 2003. All are Brand-new, and have never been used. 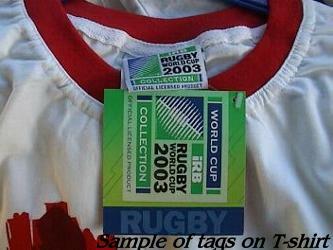 All prices on this page are in AUSSIE DOLLARS (Incl GST). Shipping is generally distance-based - for ONE item, it is roughly the 500gm parcel rate, plus packaging & handling. The more you buy, the cheaper per item the postage should be. 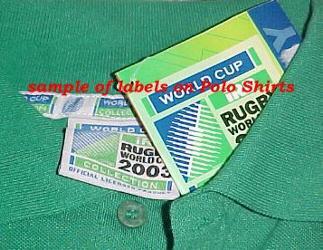 PLEASE NOTE - Some shirts have a choice of size - please ensure your order is the size you require from those available. 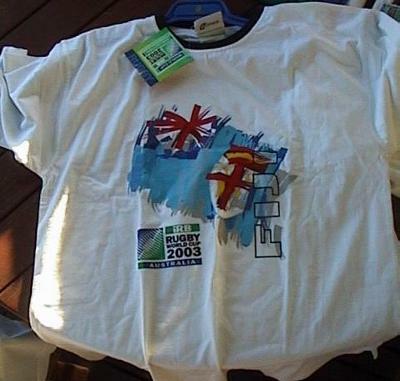 An official t-shirt supporting the Fiji team. 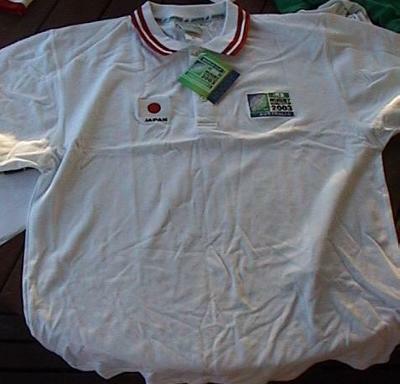 An official Polo Shirt supporting the Japan team. 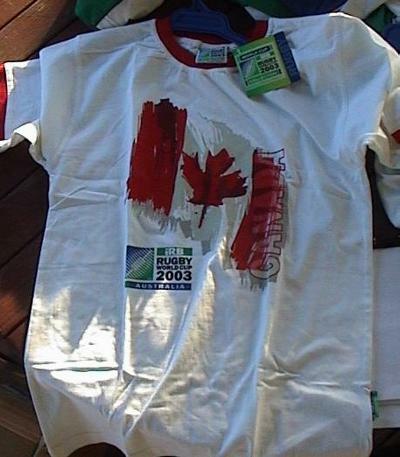 An official Polo Shirt supporting the Canada team. Last updated 6th July 2010.